This is one of the most common sets – apart from a coffee table, you also get a matching console table and a compact lamp table. Sure, the arrangement might not be suitable for any homeowner, but on the whole, this is a very stylish and impressive combination. If all of the three units are in perfect tune with one another, you will not have to worry about finding matching items to make your living room picture complete. If you feel that an extra console or a lamp table is not something you can benefit from, consider a more compact example of white glass coffee table set – the one that comes with matching puffs, ottomans, or sometimes – stools. They can be easily kept under the table surface when you are not using them, which is not only stylish, but also very space efficient. Another incredibly stylish example of a white glass coffee table set is, in fact, a nest of tables. This is a very gorgeous arrangement that can spruce up any living room interior. In addition, nests of tables look gorgeous when designed in glass – especially, bent glass. Sure, you might not be using all of the tables on a regular basic, but on some occasions an extra table or two may prove handy. Finally, you can easily create a set of your own – just find any coffee table you like and think of the matching items to make the picture complete. 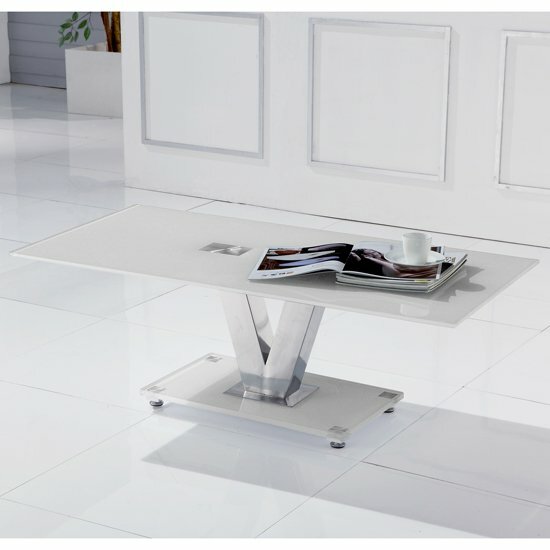 For example, a white glass coffee table will look very impressive in combination with a white glass TV stand. 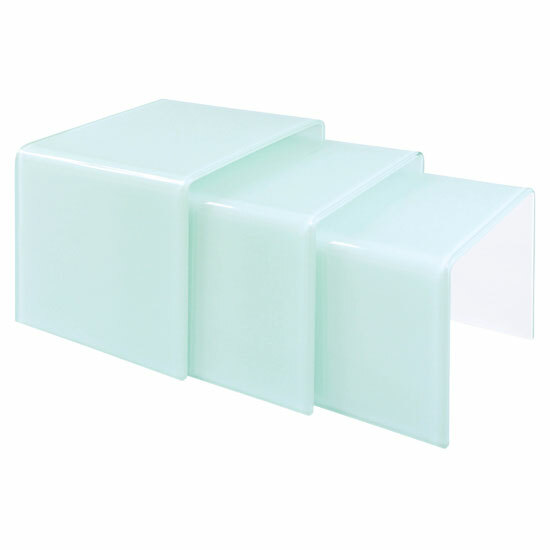 Or, you can buy any other units that have glass inserts – like, for example, a display cabinet. And, of course, white tinted glass will also look very impressive with white high gloss. 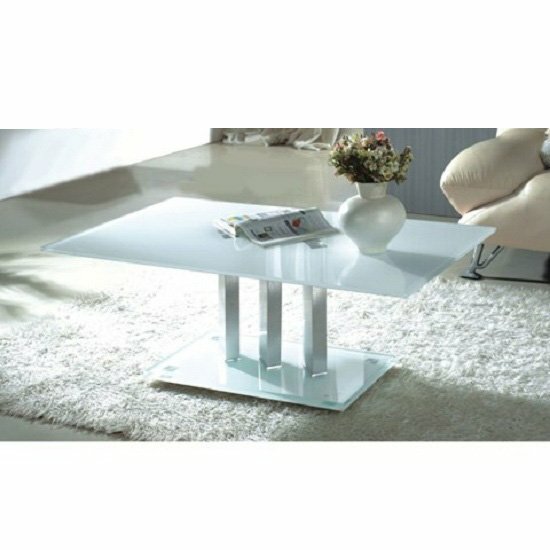 A stylish and affordable white glass coffee table set, as well as plenty of other interesting interior decoration solutions can be found at Furniture in Fashion website. This is one of the leading e-commerce stores in the United Kingdom, offering gorgeous selection of fine quality items from leading manufacturers all over the world. The main thing that makes this furniture store different from the others is the simple fact that this is a local company that ensures quick deliveries all across the country, as well as a chance to personally visit company showroom in Farnworth any time you want to take a good look at the furniture before placing your order.